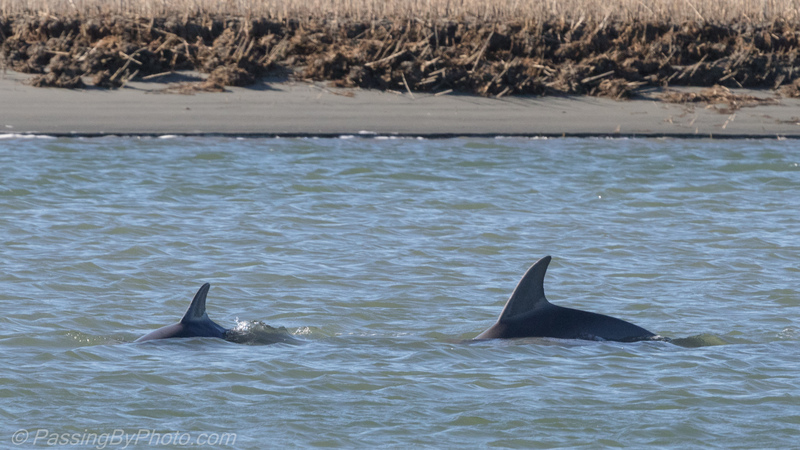 I have frequently seen Dolphins in the ocean, rivers and creeks while out photographing in the greater Charleston area. 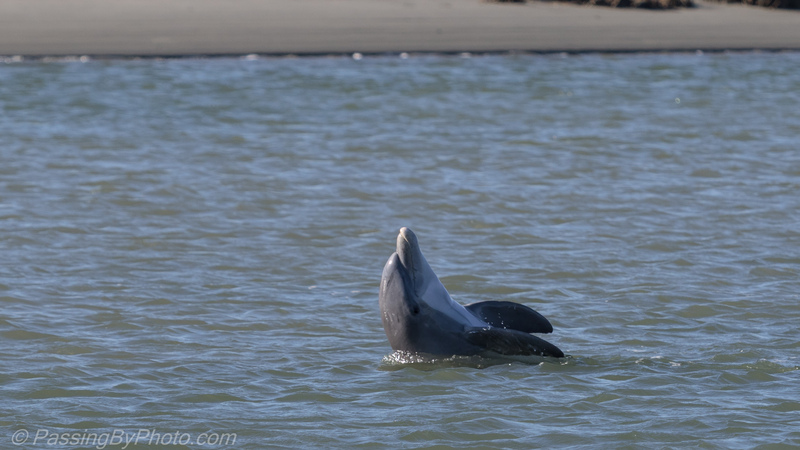 Except for one frenzied experience in May I had only seen glimpses and teases of the promise of getting a Dolphin photo that included more than a fin. 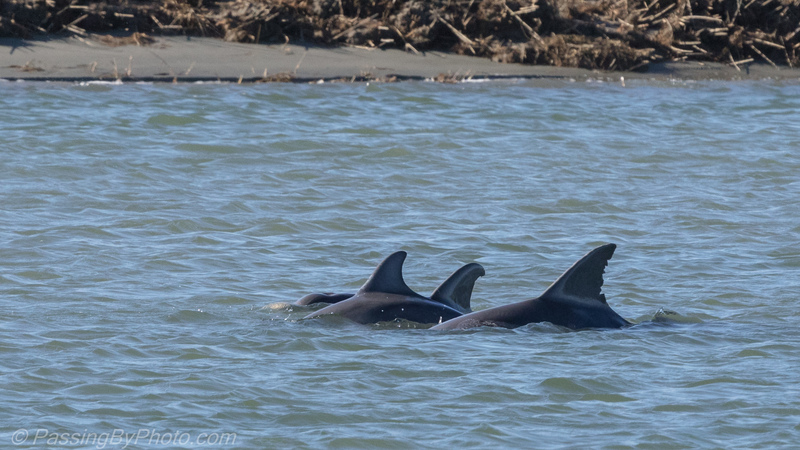 Yesterday that changed when we watched six or eight Dolphins interacting in the mouth of a river. This group rose and dove around each other, with the juvenile often nudging up against one of the adults. Following their swimming pattern helps to be looking in the right place for their next appearance but they are quick to change direction. Occasionally did something totally different! Several of the adults stayed in the periphery of the group and also took some time for feeding along the river edge, which will be another post. After about a half hour the group moved further from us then disappeared around a corner. What terrific shots Ellen, the last one in particular! Thanks, Belinda! 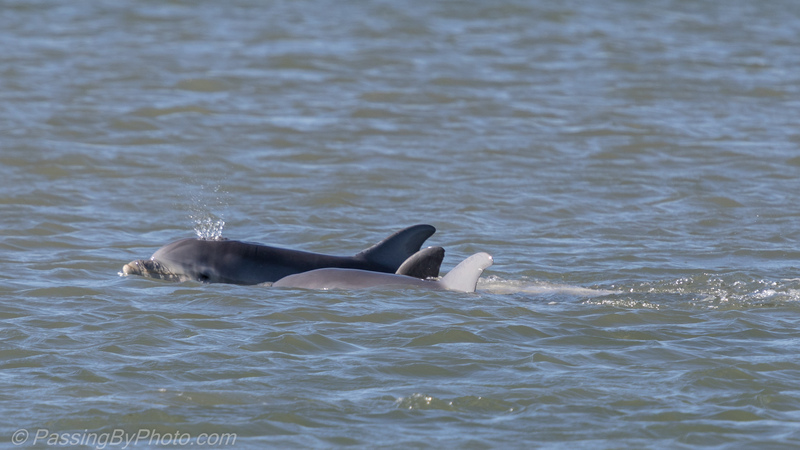 It was neat to see the Dolphins swimming side-by-side and to blow the water. Beautiful! Dolphins are always my favorite, so I can imagin getting a glimpse of them must have been amazing. Real beautiful images. Thanks for sharing. Thank you! They are amazing creatures and incredibly skillful swimmers. They are so lovely, Ellen! What a delight! I can’t help but believe that dolphins are really having just as much fun as they always appear to be having! Fascinating creatures, as are all mammals that live in the water. From which we all emerged, I suppose. Great lucky break, and nice shots. Thanks, Paz. Their interactions are interesting to watch. What a great read. Lovely pics! Dolphins are such beautiful creatures with such kind and happy looks.I saw them in Watamu in my country, Kenya where I did a sea excursion and snorkeling. Check it out. Thanks. Thank you, Habiba and thanks for stopping by. Your Dolphin experience in Watamu was fantastic. You’re welcome Ellen and thank you very much.